When the number of animals within an endangered species population can be counted off in just a few seconds it becomes abundantly clear that every single one of those animals is substantially important. Such is the case with the United States ocelot population, which consists of two small groups found only in the Rio Grande Valley. It’s estimated that just over a dozen of the spotted wild cats live in and around the Laguna Atascosa National Wildlife Refuge (LANWR) which hugs the shores of the Laguna Madre. Another 50 or so are estimated to live primarily on privately owned lands in Willacy County. In all, wildlife officials estimate that fewer than 85 cats exist in the country. When it comes to conservation efforts, literally every cat counts. But, 2015 wasn’t a year for positive news. Four ocelots were killed by motorists along the high speed rural highways of Cameron and Willacy counties. So it was with much jubilation that officials with the U.S. 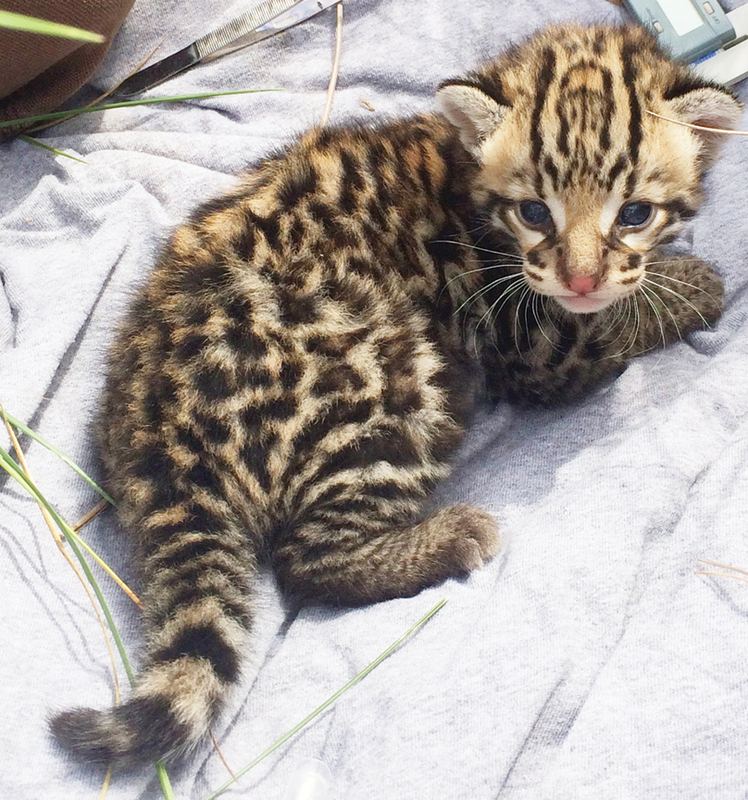 Fish & Wildlife Service (USFWS) announced late last week the birth of at least four ocelot kittens in 2016, including a male kitten in the first active den to be found on refuge property in 20 years.